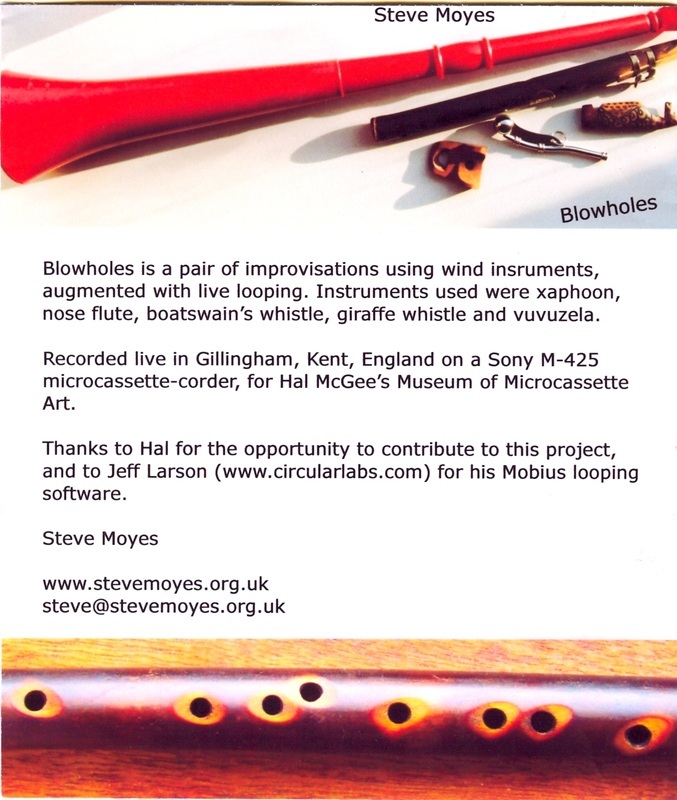 Blowholes is a pair of improvisations using wind instruments, augmented with live looping. 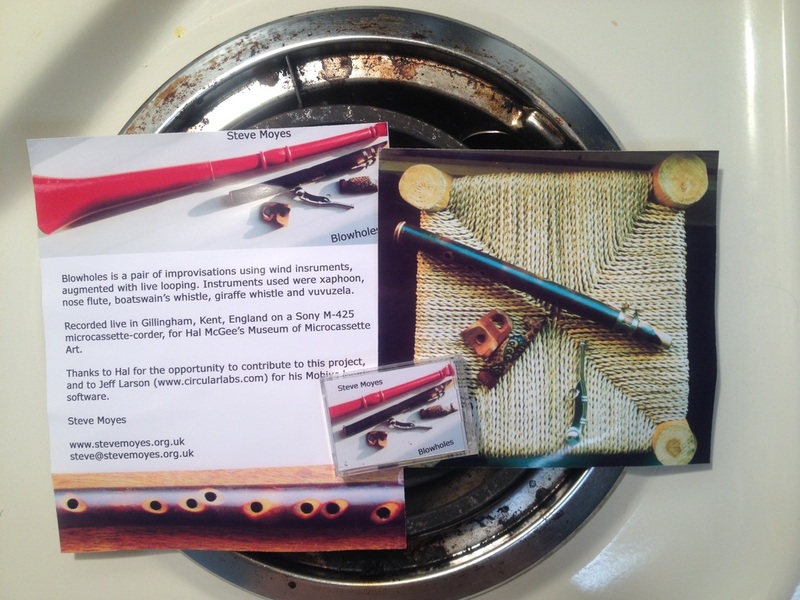 Instruments used were xaphoon, nose flute, boatswain's whistle, giraffe whistle and vuvuzela. 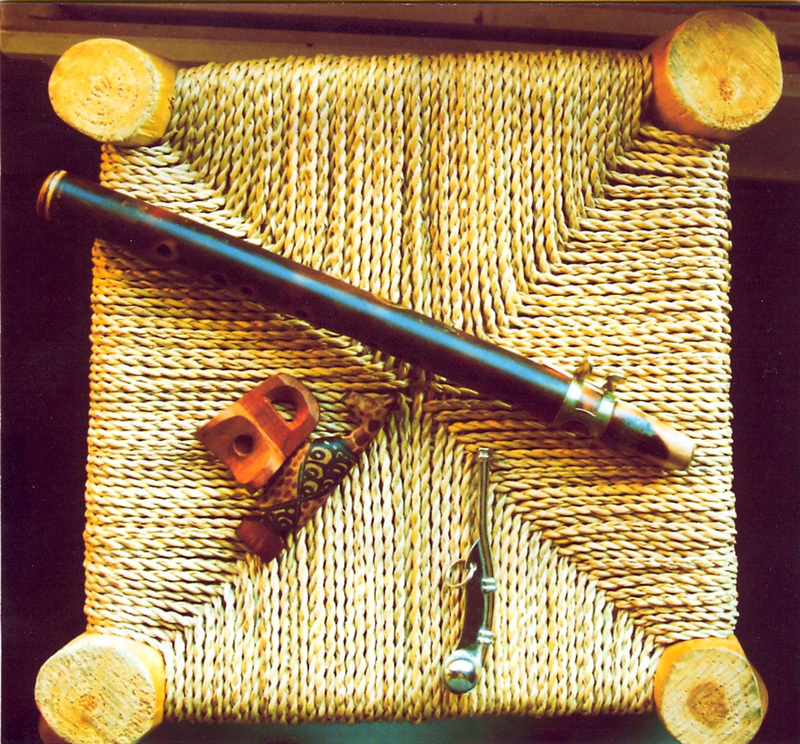 Recorded live in Gillingham, Kent, England on a Sony M-424 micro-cassette recorder, for Hal McGee's Museum Of Microcassette Art. Thanks to Hal for the opportunity to contribute to this project, and to Jeff Larson (www.circularlabs.com) for his Mobius looping software.